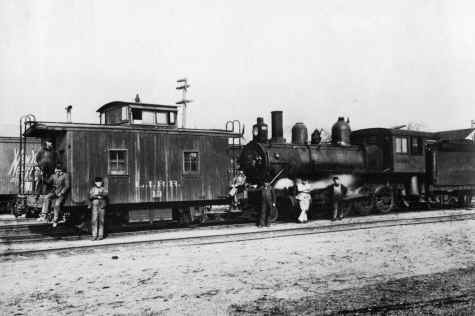 Prior to the arrival of the N52 types, there had been a total of 24 little four wheeled "hacks" that looked a lot like the old ND cabins on the "Penn." Some of these still remained in service up until the end of 1927; this accounts for the missing numbers 13, 17, 26, and 32 that were never assigned among the N52’s numbered 10 through 48. Numbers 13, 26, and 32 were built as late as 1911 and were among the five of them that actually remained until 1927. The other two had the numbers 4 and 5, which were not going to be reassigned anyway. Four-wheeler No. 17 went out in 1925, almost coincident with the delivery of the batch of new "hacks" that would ordinarily have included that number. 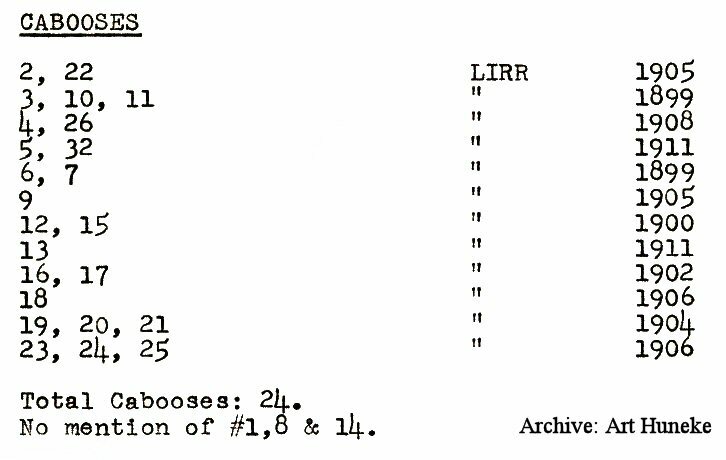 Number 17 was never reassigned either. 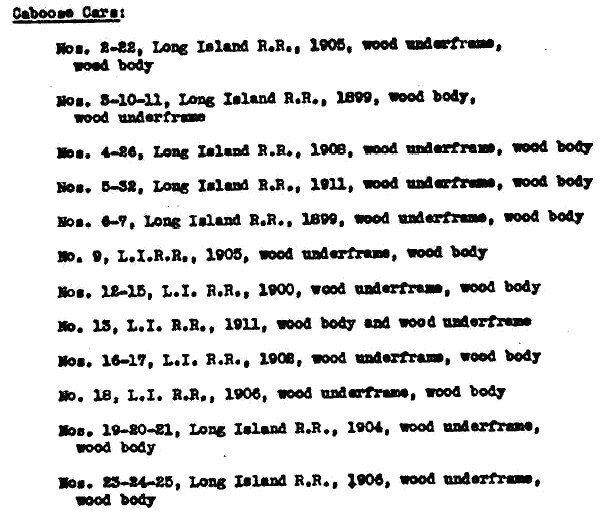 By the early 1900s, the Pennsylvania Railroad and its subsidiary Long Island RR were still using all-wood, four-wheeled caboose cars, but all of this would soon start to change when the PRR built the first such car with a steel underframe as early as 1903, even long before such a "safety" feature would be mandated by law. Those first steel underframe cars were known as class ND and some of these became 'precursors of the eight-wheel type when they underwent conversions that would have two separate trucks instead of the straight four-wheel configuration. Trains were getting heavier and longer, while locomotives were becoming larger and more powerful and the caboose had to do more than just "keep up" with the end of the train, as it was often being subjected to terrific forces when sandwiched between the train and a helper engine pushing behind ft at the rear. 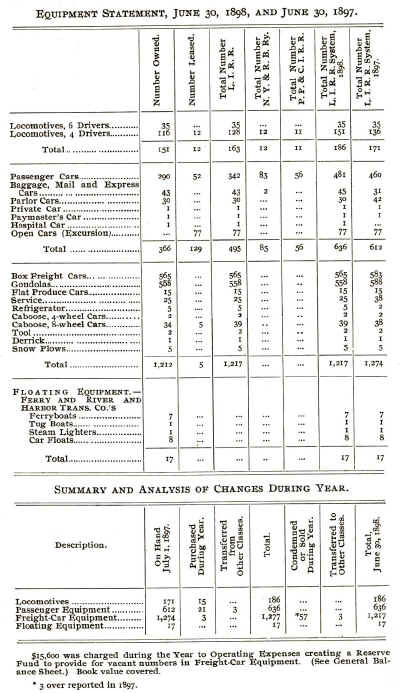 Many of the four-wheelers were still relatively new, having, been built as late as 1905. PRR shops throughout lines west of Pittsburgh dealt with the problem by salvaging the bodies of usable four-wheelers and rebuilding them into "stretch" versions that would be placed on top of eight-wheel steel underframes that had been prepared for them. These would become the very well known ND types. 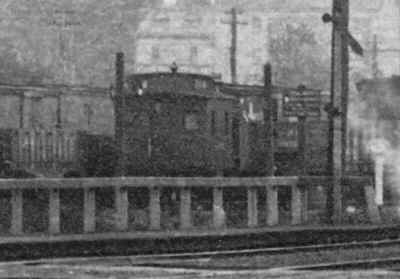 In 1914, PRR shops at Altoona built 'the world's first all steel eight-wheel caboose which would become class N5. 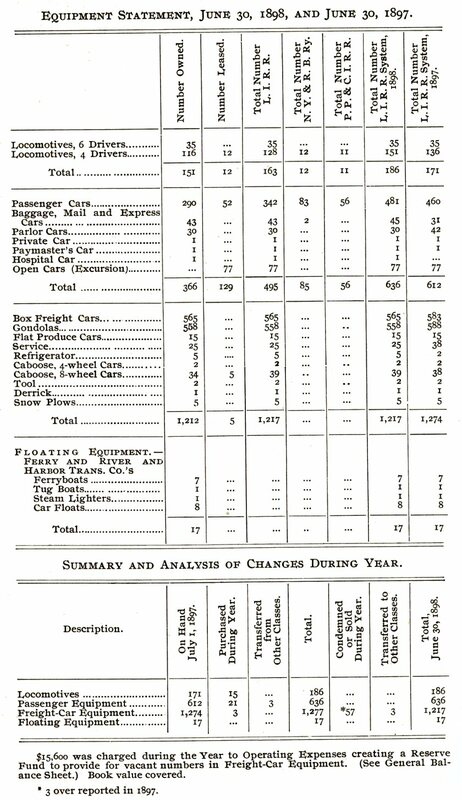 Replacement of the four-wheelers on the LIRR began in 1916 with the construction of numbers 33 thru 35 which were steel underframe, eight-wheel cars patterned after the N5 in dimensions and layout except that they were of "composite" construction (having an iron-reinforced wooden superstructure) and were designated as sub-class "N52." Three more of these (numbers 36 thru 38) were built the following year. These six were all built in the LIRR's own shops. Thus started the gradual disappearance of the old four-wheelers, the last of which was not taken out of service until ten years later. Dunton station on the Atlantic branch. Grade crossing in photo is Van Wyck Avenue. View is looking east. 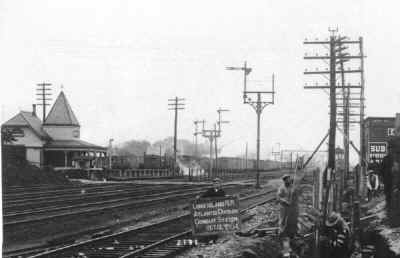 "AC" tower (Jamaica Cross Switches) is at right visible between the telegraph poles. 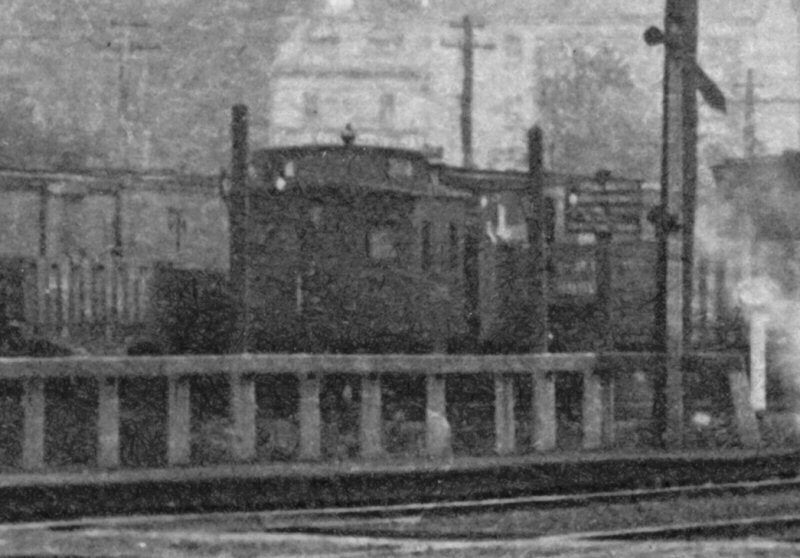 The yard visible is the west end of the old Jamaica storage yard, prior to the 1913 grade elimination. Morris Park shops would be behind the photographer a little ways.